In June 1932 a Folk Dance Festival took place in the grounds of Nymans with over 100 dancers performing. The girls above are from Handcross, but there were also dance troupes, both adult and children, from Staplefield, Warninglid, Balcombe, and Brighton and Hove. The girls above are named in the cutting, although it seems one on the left has been cropped from the photograph in the paper! 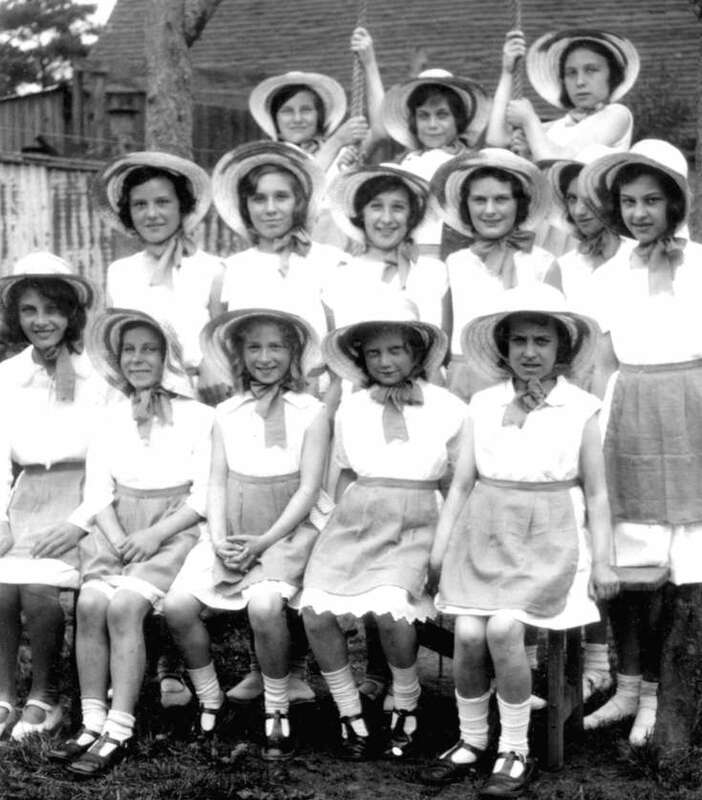 They are Mary Etherton,Nellie Irving, Joan Wilson, Gladys Faulkner, Edie Ansfield, Edna Boyce, Betty Bartlett, Pat Smith, Betty Field, Betty Longhurst (middle row, third from left), Averil Parsons, Jean Jakes, Cecily Newman and Cecily Boniface. Select Open Document to view the full newspaper cutting. I have now found a tiny 3" x 2" photograph which is better than the newspaper version despite its size. There is a bonus in that the new photograph features all 14 girls! I have added a Large Version to celebrate. This photo shows Edie Ansfield. .My father, Alfred Ansfield, died in 1935. I do not have a picture of him and am searching every avenue I can to try to find anyone with a family photo with him in. I am mow 83 and would love to find any picture.